We help clients ease into recovery by taking care of their health care needs. A nurse can visit you at home and conduct an assessment of your needs. 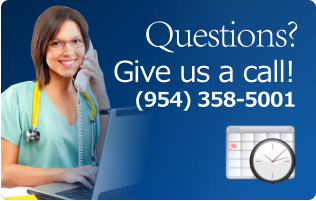 Would you like to refer Care On Call Home Healthcare to someone you know? "Thank you so much for sending me P.S. to help me after my spine surgery. She is intelligent, caring, and a pleasure to have in my home. She has anticipated all my needs and has done her utmost to help me recover. She would be an asset to anyone needing care." "L was always so pleasant and extremely knowledgeable in her field. I thank you for your help in my road to recovery and I know how proud you must be to have D and L, both so dedicated as members of your team." "K and R were terrific aides. I cannot thank you enough for all you have done. I always felt that mom was in good hands with Care on Call Home Healthcare and the personnel that assisted mom. K was the best and I would highly recommend her and Care on Call Home Healthcare to anyone in need of your services." "Thank you for the great care you provided during my wife's illness." "Care on call, Thank you again for your help, I know it was last minute but you were still there for us. We would have not been able to manage without D. Care on Call is a very professional company I would recommend again. Thank you!" "Thanks to Care on call and their dedicated team they were able to fill my need for a caregiver on extremely short notice on the weekend. The staff is so dedicated and friendly and a pleasure to deal with. Having such a great company help with my mother alleviated a lot of my stress." "To The Care on Call Staff, Thank You for your excellent care! It has been a True Blessing!" Welcome to Care On Call Home Healthcare, Inc.
Care on Call Home Healthcare is a provider of quality in-home care services. Our agency offers a wide range of home health services by qualified professionals to help achieve and maintain comfort and independence at home. More than just home health aides and homemakers, our committed staff includes nurses and therapists working as a team to help patients and families improve the quality of their lives.